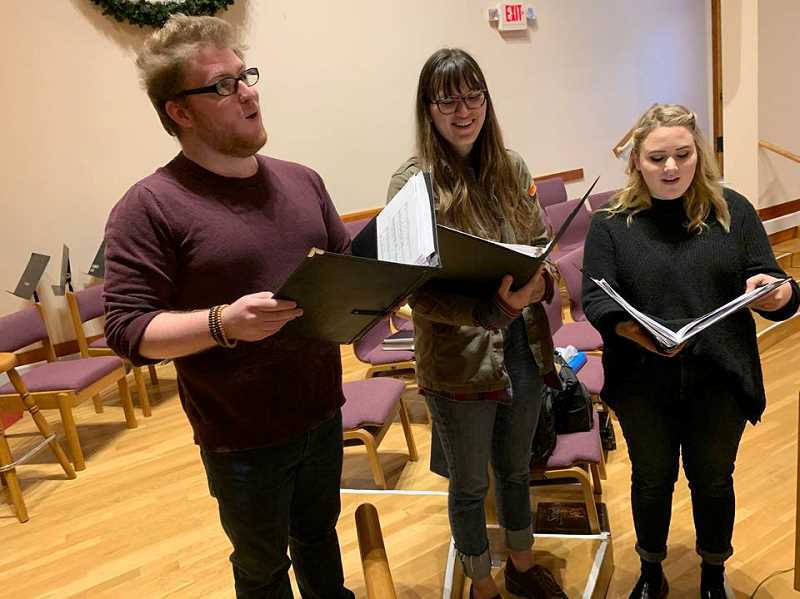 Forest Grove United Church of Christ brings back Handel's 'Messiah' choir event Dec. 9. The Forest Grove United Church of Christ will host its second annual Handel's "Messiah" Sing Along on Sunday, Dec. 9. The all-ages interactive concert, which begins at at 7 p.m., is a collective sing-along of George Frideric Handel's "Messiah," a classic oratorio first composed in 1741. "It is such a classic, it has been sung for hundreds of years," Laura Frye, the show's director, said. "It has been sung this time of year all over the world. It is your opportunity to be a part of a 'pickup choir' or a 'flash choir.'" No rehearsal is necessary, and all people need to bring is their voice, Frye said. The audience can participate in singing several portions of the composition, including, "And the Glory of the Lord," "O Thou That Tellest Good Tidings," "For Unto Us a Child is Born," "Glory to God," and "Hallelujah Chorus." Frye has lived in Forest Grove since 1961 and attended Pacific University before teaching choral music in schools in Forest Grove and Gaston. "I was inspired to do this, and I always had a dream to do the 'Hallelujah' chorus," Frye said. "One of our goals was to collaborate with many different ages." About 70 people attended last year, and Frye said she hopes to see more fill the church. "It is such an exhilarating experience to create something together and to recreate something together that is historical," Frye said. "There is something so powerful about that." This year's sing-along is a bit different, Frye said. Four Pacific University students will be featured as vocal artists to lead the show. Kaitlin Gilbert, a soprano, is a senior at Pacific and performs alongside a mezzo-soprano, Zoë Kim-Maskell, a sophomore. They are joined by tenor Dwight Collins and bass Jonas Williams. Portland organist Heidi Kohne. She will provide accompaniment, as well as violinists Dashiel Penfield and Kathy Walden, and cellist Maggie Dickerson.